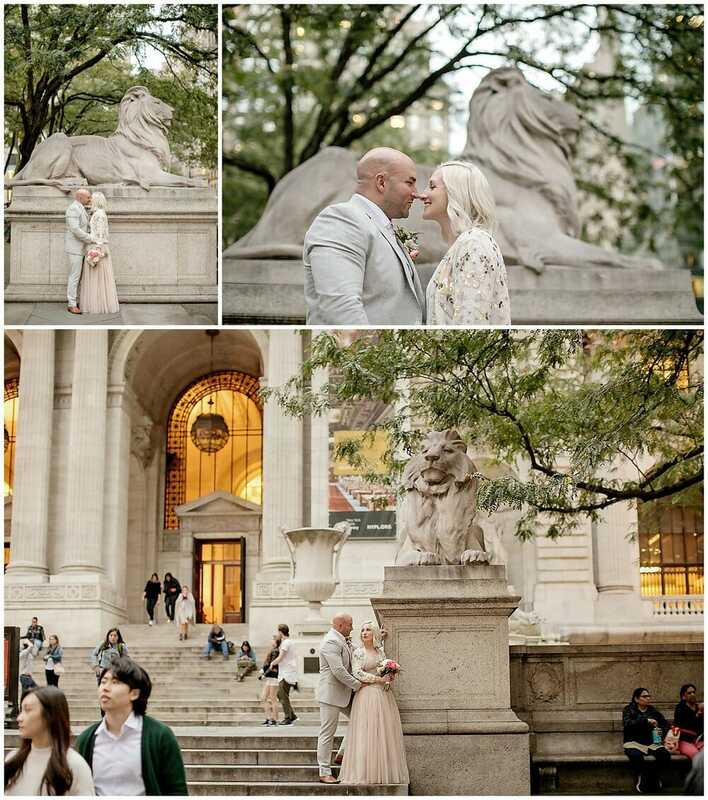 New York Public Library Elopement! 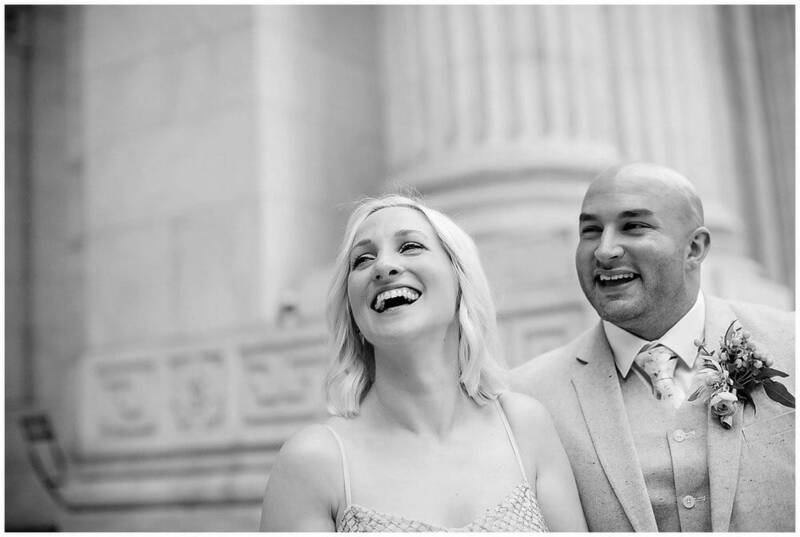 We were lucky to have this couple find us by searching Google for “New York Public Library Elopement.” Their love and passion left us absolutely inspired. 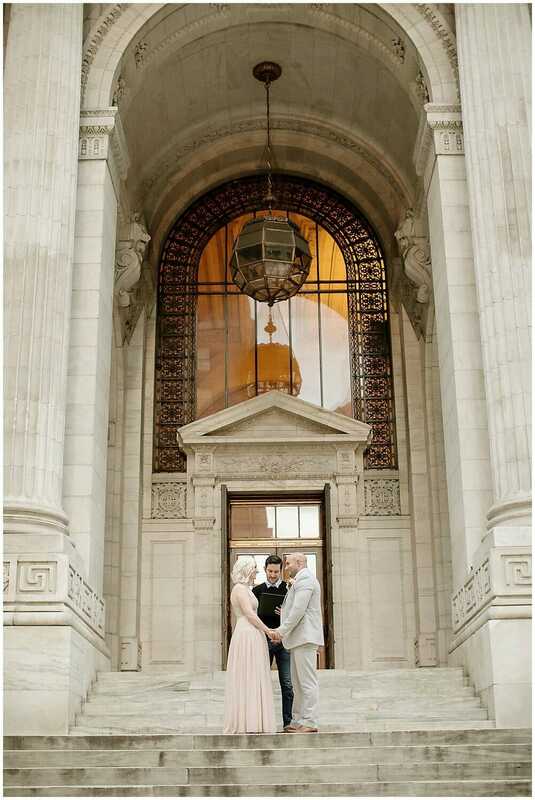 Their beautiful ceremony was held right on the steps of the library, just after closing time. 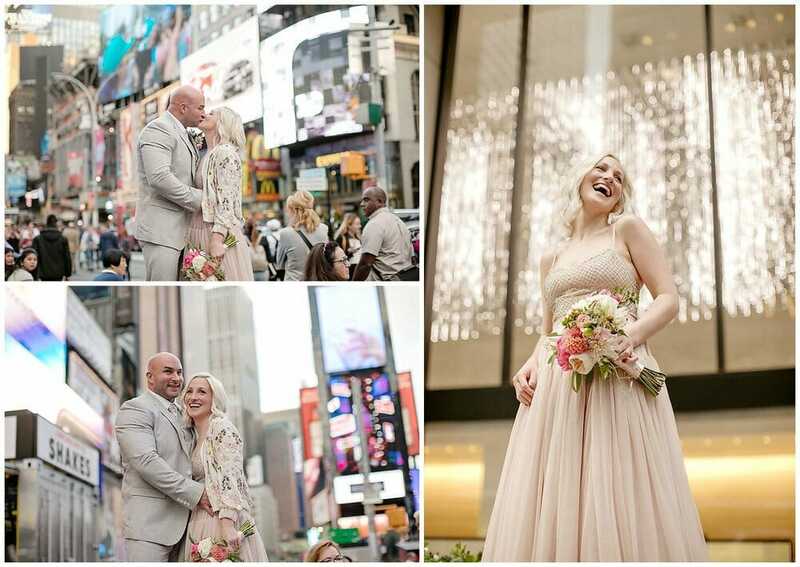 The lighting was perfect, the setting couldn’t have been better, and the couple was all smiles. 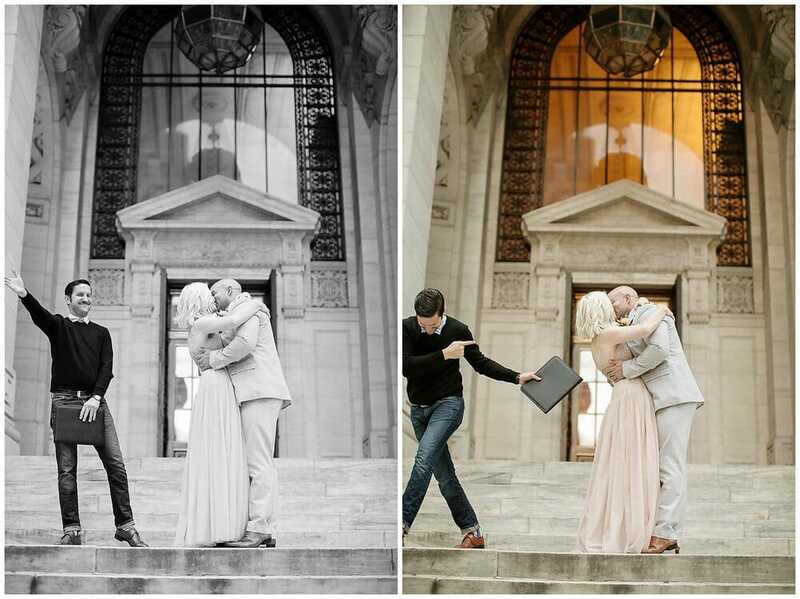 They also somehow chose the best clothing for the building’s colors. They looked like true works of art! 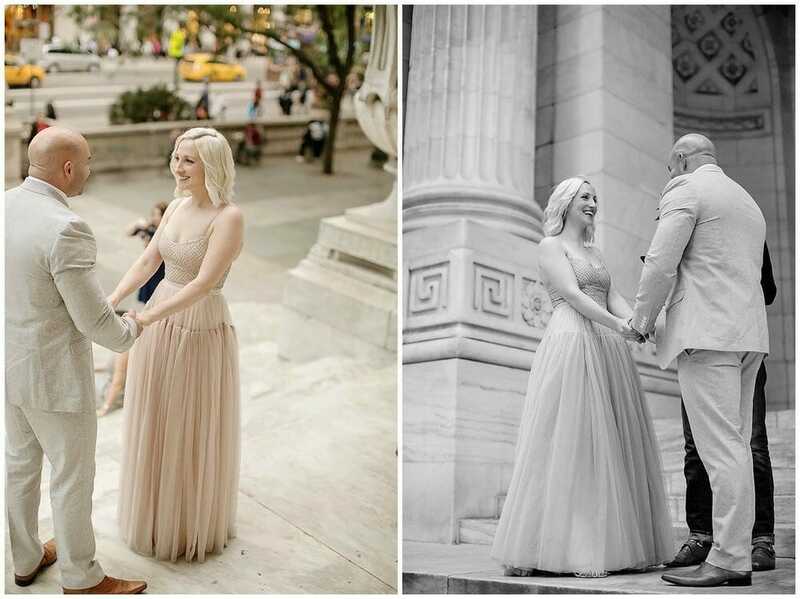 After The Most Reverend Matt Levy let the two through their ceremony, we took an evening stroll through the city, including nearby Bryant Park. The day could not have been better. 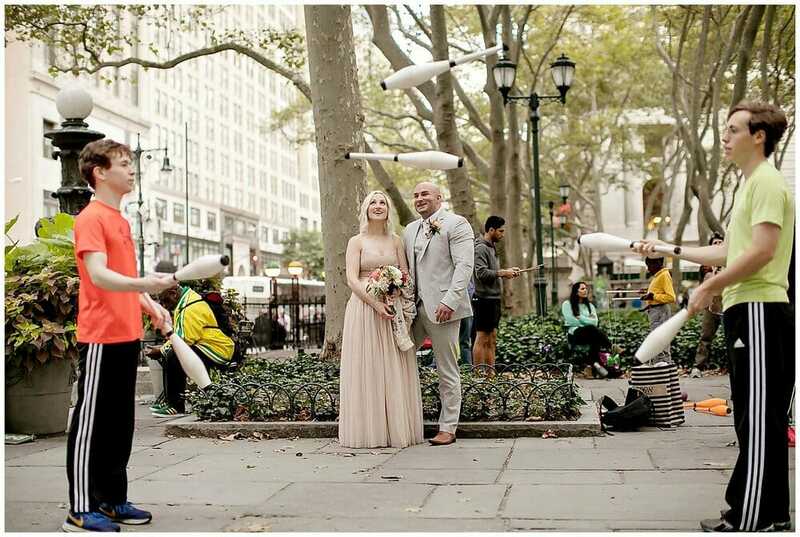 The couple could not have been happier (neither could we!). 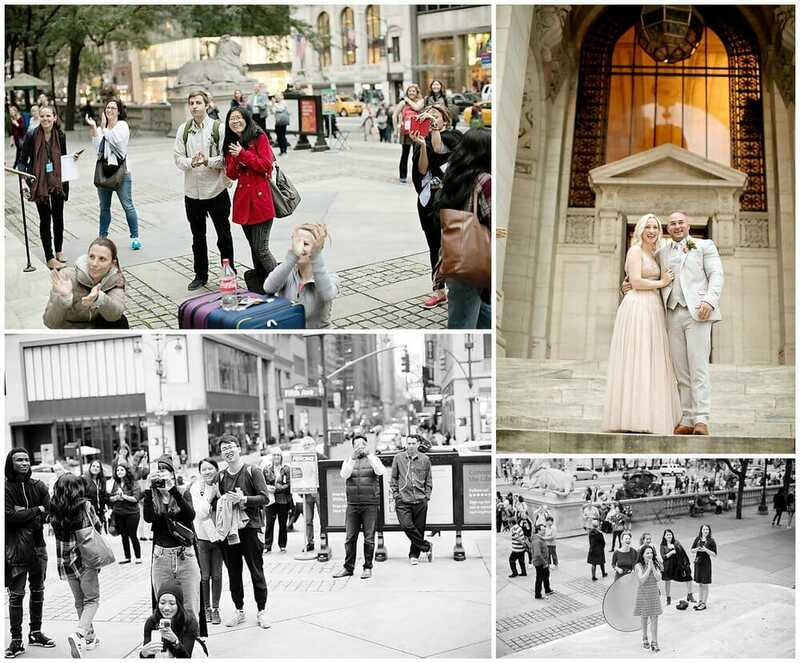 Check out the photos shot by Jenny.